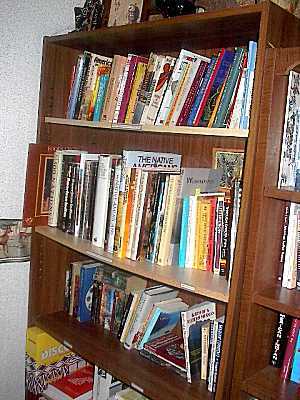 In this book case you will find books on general Native American subjects, Dakota history, and Native American novels. There are also educational binders for teachers to use for substance abuse awareness. On these shelves are Lakoka subjects, stories and fables, womens, various other tribes and serious issue books, also the childrens section. 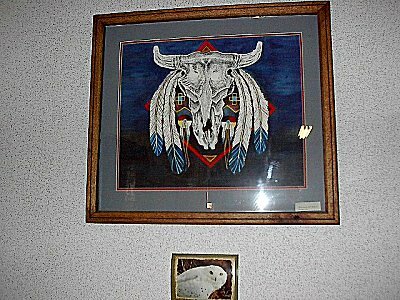 This was painted by Jeffrey Derby, the son of Little Feather who was killed in a car accident with his wife Rita in January 2000. This library is named after them. A painting that everyone comments on is also housed in the library. This was given to Chuck a number of years ago. 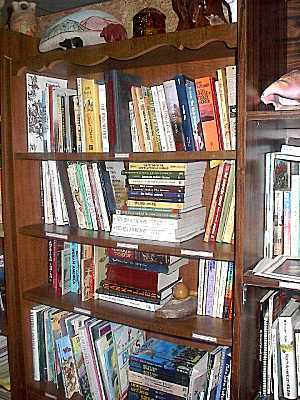 In our library you can browse books that relate to Native American cultures, environmental awareness, womens issues, Celtic culture, and childrens books on the same subjects. 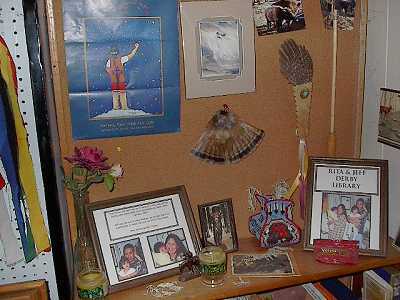 While you are reading why not listen to some Native American music, there are plenty of tapes to chose from. We also have videos that you can watch. None of these items are for sale however. 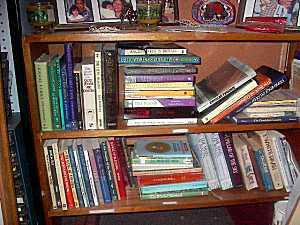 On these shelves are the environmental books they cover a wide range of subjects. 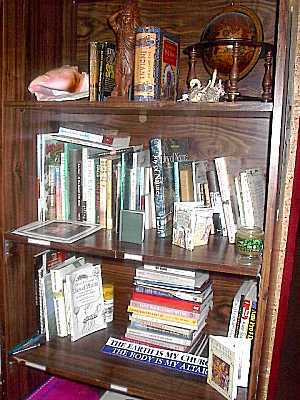 This is where the Celtic books live, also found here are books on Feng Shui. Although none of our books are for sale you are very welcome to sit in the Center and browse through them. 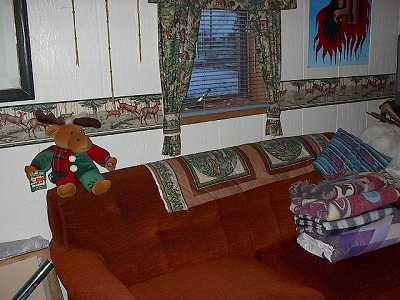 Why not give it a try, choose a book, and cuddle up on this comfy sofa wrapped in one of the blankets available, sip a coffee, green tea or whatever you prefer and while away some time reading. 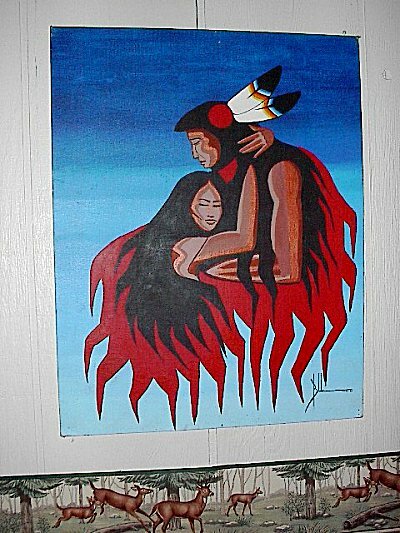 If you would like to buy Native American books you can go to the following link which is from our sister site. The books are from Amazon.com and are all recommended by us.